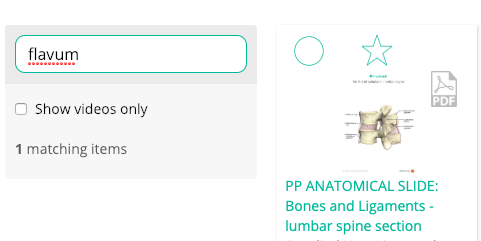 We are very excited to see you start using our bespoke Primal Pictures anatomical content, hosted live in your Library > Education tab. Following the success of our summer 2018 pilot content, we have worked hard with Primal Pictures to bring you the first suite of live content. Hurry and get your hands on this first edition. For those early adopters, you will receive the Primal Pictures content at a discounted rate, which includes the next phases of content, coming soon in 2019. Simply type "PP" followed by your pillar into the search box and watch your content filter. Search terms attached to each item can be utilised in the Education tab search box to fid your item. "Back, Vertebrae, Vertebral, body, Intervertebral, disc, Anterior, longitudinal, ligament, Supraspinous, Ligamentum, flavum, Interspinous, Ankylosing, spondylitis"
Webinar from Physitrack on Vimeo.